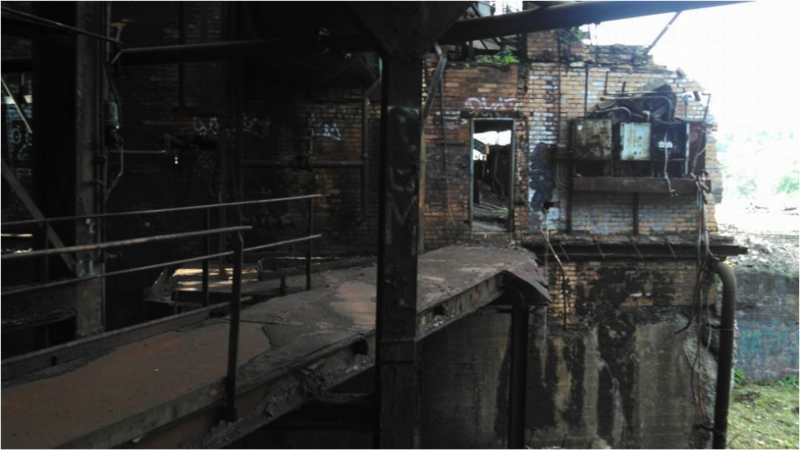 An old, iron-making furnace that would appear to be abandoned and a lifeless place to passersby is still alive with activity. 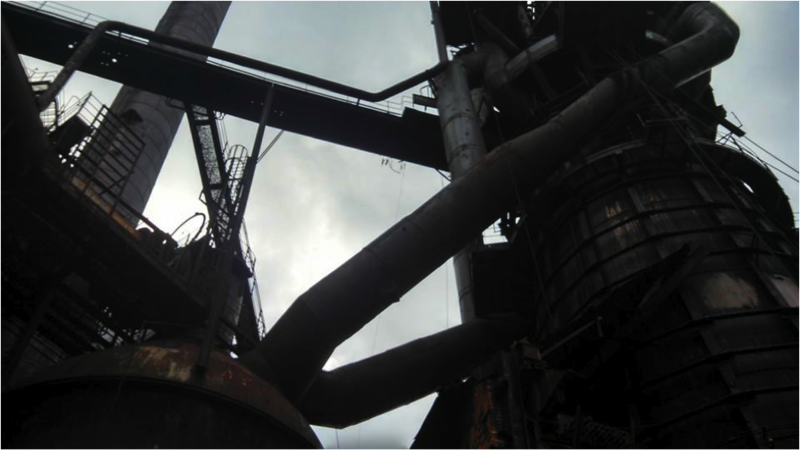 Carrie Furnace, which was built in 1884 and operated until it was shut down in 1978, used to produce 1000 to 1250 tons of iron per day at its peak. Now, furnaces six and seven are all that remain, and the surrounding structures and landscape are part of the Steel Heritage Museum, offering tours for interested tourists who want to learn about its history, study the thriving plant-life, and scrutinize the art graffiti on the buildings and view the industrial structures. Tours are on Fridays during the months of June, July, and August, and on Saturdays from May through October. Oriental Bitter Sweet, for instance, spreads easily by birds, and if they are perched in a certain area, it’s possible for them to pass plant seed through excrement, a natural, protective fertilizer. This plant can strangle a tree, and even tear down buildings. Broadleaf plants’ seeds are caught by the wind and spread on open sites. Part of this process is the idea of succession, meaning that, overtime, ecosystems develop. 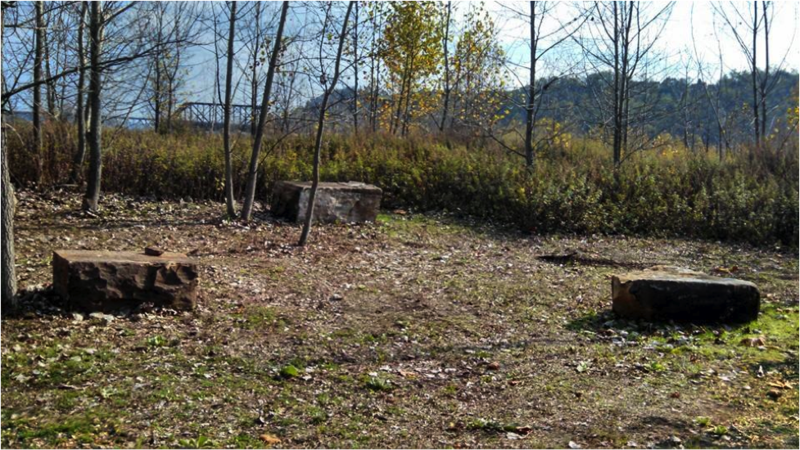 An addition-by-reduction strategy is used on the art and landscape, meaning that they sculpt what’s there or use materials from the site itself. The art is also meant to be natural. They brought in huge rocks, for example, so that tourists may slow down and sit on them to view the surrounding landscape and plant-life, instead of only staring at the gargantuan furnace buildings. Also, undesirable plant growth has been removed with selective herbicide and pulling them out by hand, so that desirable plants may grow instead. “A lot of our species are from China, because their climate is very similar to ours,” said Ms. Johnson. Even the bricks are degrading and turning into soil through the process of weathering, and the wind and weather has scattered it around the architecture, resulting in plants growing on the buildings and platforms themselves. But it’s not good soil, and only for certain plants that need little nutrients. All of this adds beauty to the place. The area is considered a riparian zone—a habitat along a stream side that’s often hit with floods. Over the years, graffiti art has appeared on the walls and buildings. This was illegal and unwanted activity, so the owners decided to work with the artists to provide spaces to paint. “They could either work with us or we could chase each other down,” said Ronald Baraff, tour guide and Director of Museums and Archives.. As a result, the place has been turned into a colorful and vibrant area full of artwork. In the past, before the furnaces were shut down, the workers illegally built a gigantic deer head on top of one of the tall buildings using materials found on the site. What’s more? There’s a Christmas tree growing right next to it that was planted long ago. 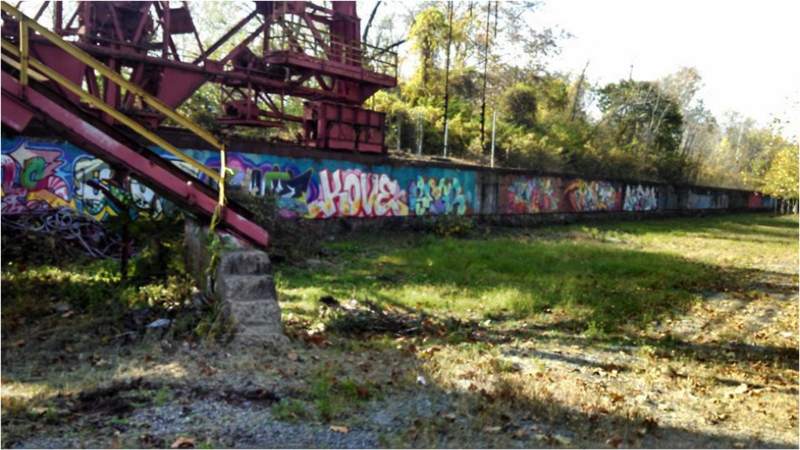 “If they hadn’t done this piece, illegally, it may have been a straight historic site,” said Mr. Baraff. “How can we celebrate this and not other artwork?” Thanks to the past workers, this allowed discussions regarding art to be talked about, and allowed other art to flourish here and help this community thrive.